Who should I partner with for internet connectivity? Most suppliers have a quoting tool and say they have the best pricing and support, so how do you choose between them? Choose someone you know and trust with experience managing multiple carriers and overcoming common issues. Find someone interconnected with all the major operators, who has a simple tool you can enter a postcode and receive all the options quickly. Consider someone with an easy ordering platform, which keeps you in the loop automatically, so you can keep your customers informed on order progress. How can they help you differentiate your services from the competition? As a team, we have over 70 years’ experience selling white label internet connectivity to the channel. Even if you are an accomplished reseller, it is useful to have someone on your side that really understands the technologies available, who can help to quote custom solutions and overcome common problems. By partnering with Jola, you can offer a wide range of internet services, can quote customers onsite and provide unique 4G back-up solutions, you can’t buy from anyone else. G.fast is new technology that can deliver internet connectivity speeds above 100Mb/s by using higher frequencies over the access infrastructure. Like FTTC, G.fast provides a high-speed broadband connection to the premises by using optical fibre to the street cabinet and then copper wiring to the premises. Where existing FTTC used VDSL2 to deliver speeds of up to 80Mb/s, G.fast replaces VDSL2 and offers speeds of up to 330Mb/s over the same copper phone line. Just like ADSL2+ and FTTC, the maximum speed achieved will be limited by the length of the phone line between the premises and the street cabinet. Engineer installations are required for this service. FTTP is Fibre To The Premises. Unlike ADSL and FTTC, FTTP does not use a copper phone line, it uses GPON, (Gigabit Passive Optical Network) which is optical fibre to the premises. You do not need a telephone line for FTTP. It is faster than FTTC and does not lose speed over distance. The speed you order is the speed you will receive, currently up to 330Mb/s, however, faster speeds may be available in the future. 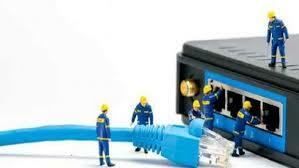 New FTTP installations require an engineer, however migrations or second installations may not require a visit. Unlike FTTC, FTTP installations are all-day appointments. Who is buying fast business broadband? The obvious answer is anyone that needs one, but in our experience business customers are particularly seeking out fast fibre broadband circuits when upgrading from traditional to hosted telephony. 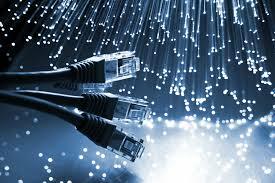 Broadband is the common term for a fast connection to the Internet. It allows business users to browse the web faster, stream video, have real-time voice conversations, use cloud applications and backup their data online. 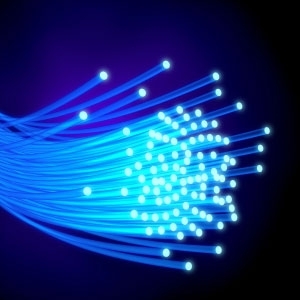 Fibre broadband promises super-fast speeds. The name comes from the use of plastic or glass cables, which allow for faster data transfer, compared to the standard copper wires. Business customers are asking their IT and Telephony suppliers for help when looking to upgrade their business phone systems. 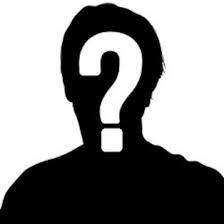 They want to talk to specialists who can review their office networks and suggest cost effective alternatives. With hosted telephony you don’t need PSTN, ISDN or SIP trunks, there is no phone system on site to maintain and packages are priced on a per-seat-per-month basis. Companies can have the latest handsets and a feature-rich phone system to include Auto Attendant, Instant Messenger, Presence and Video and can make, take and transfer calls from their mobile or tablet remotely as if sat at their desk. They can connect the phone system to internal databases so that customer details ‘pop’ onto the screen and they can click-to-dial from documents and web pages. HD voice is available and running voice over a dedicated fibre broadband connection is a good way to protect call quality. BT has announced that it intends to invest £6 billion in Fibre To The Premises (FTTP) over the next few years to further push superfast broadband coverage across the UK. 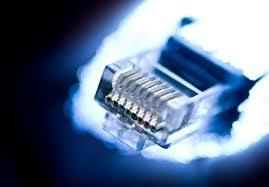 The company wants to reach 95% coverage of the country in terms of superfast fixed broadband by 2020. The announcement follows a report by Ofcom suggesting that BT should be compelled to give access to its network infrastructure to rivals so that they can install their own fibre alongside Openreach's cables. What fibre broadband speed is available? To get a definitive answer to the question what broadband speed is available, there are several web-sites you may need to check in with. The definitive guide to if BT Fibre is available is www.openreach.co.uk (after all these are the guys actually building the network and installing the service). If you don’t have a BT phone number this site will work with just an address however it won’t tell you what speeds are available or, if fibre is not available now, when it might be. It also won’t tell you if you are in a Market A or B (until recently Market 1,2 &3) exchange area. This information can be found at www.samknows.com and it matters because BT charge more where they don’t have any competition and this affects prices from their resellers too. Samknows will also list all the carriers operating from your local exchange but it cannot tell you if you can get fibre broadband because it only goes to exchange level, not cabinet level. There will be hundreds of cabinets attached to every exchange and not all of them will have been enabled for fibre broadband. Adding internet connectivity to your portfolio? Do you have customers that need a better internet connection to manage their office applications? 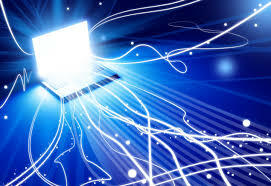 Have you thought about recommending or even supplying more reliable internet connectivity? Dealing with the major carriers directly? Time it takes to get a quote from multiple carriers? 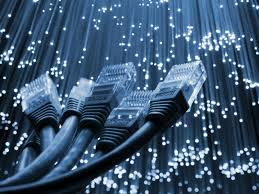 Fibre broadband is faster than copper broadband but what are the real benefits to SMEs? I work from home and upgraded to fibre broadband when we started the business to get access to the business applications I needed, such as Microsoft Office 365, JolaPhone cloud telephony, Xero online accountancy packages, web management and reporting software and mailing software. Jola are offering free fibre broadband for six months - is there a catch? What is so great about fibre broadband? So you have seen the adverts on the television for fibre broadband but what's so great about it and how could it benefit your business? You have probably gathered that it is faster so the main benefit is you can download files easier. In the residential markets fibre broadband is being bundled with TV and phone packages and it supports multiple devices per household including TV, streaming music and online gaming.